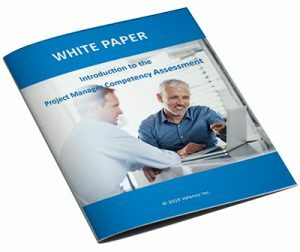 Project Manager Competency Assessment - White Paper by Valency Inc.
Project managers in design and construction projects need specific competencies to successfully lead, manage, and execute capital projects. There are several disruptive forces that have caused a significant shift for project management professionals in the design and construction industry. One of these factors is the demographic shift in the workforce and the resulting demand for top talent. Never has it been more critical to identify and develop top project management talent within your organization. The Construction Industry Institute (CII) developed this Competency Assessment to comprehensively assess critical project management skills that are necessary for Project Managers in a design and construction environment. This white paper outlines the assessment components, the essential competencies along with their weights and performance benchmarks. It then walks through the methodology and the outcome and benefits you can expect from this approach. Learn how to apply Valency’s systematic approach to talent development providing Project Managers with a concise training path tailored to their individual needs. Fill out the form to download this white paper for a comprehensive overview of this methodology.